We’d love your help. Let us know what’s wrong with this preview of Virginia Woolf by Alexandra Harris. To ask other readers questions about Virginia Woolf, please sign up. Ne možeš pronaći mir izbjegavajući život, poznata je i čeysto citirana misao Virginije Woolf, Autorica koju su suvremenici zamišljali „manje kao ženu koja piše, a više kao svjetlost koja se širi i jača“ još je za života idealizirana kao malo tko od njenih suvremenika, a interes publike, kako one čitateljske za njen književni rad, tako i one gladne zanimljivih, biografskih činjenica s protokom vremena nimalo ne blijedi. Svojim je prijateljima i kolegama ulijevala golem osjećaj divljenjem ojačanog strahopoštovanja i često su je, u književnim salonima promatrali sa strane bojeći se ući u interakciju s takvim intelektom. Nije bez razloga britanski dramatičar Edward Ablee upravo Virginiju Woolf postavio u naslov svoje najpoznatije, nebrojeno puta postavljene i nekoliko puta ekranizirane, drame u kojoj su u strahu od Virginije Woolf svi oni što se boje živjeti život otvoreno, bez laži ili zaslijepljujućih iluzija. Čitajući i istražujući ono što je velika autorica bila, ili se promatraču, uz povijesni odmak, čini da je bila, zapitat ćete se je li se i ona sama bojala Virginije Woolf, je li izbjegavala život i je li za nju, stoga, i taj traženi mir ostao skriven. Virginia Woolf : biografija Alexandre Harris neće vam dati odgovor na to pitanje. Bar ne u onom senzacionalističkom, bombastičnom i nahrupljujućem smislu na kakav smo, nažalost počesto, kod biografa navikli. Umjesto toga, čini se kao da je, u opsegom nevelikoj biografiji, na jedva dvjestotinjak stranica britanska povjesničarka kulture željela u knjigu pretočiti i knjigom potkrijepiti misao što ju je Woolf zabilježila Između činova, misao o knjigama kao ogledalima duše. Radije no ogoljujući (ili napuhujući, posve svejedno) uspone i padove iz sfere osobnog, Harris ih vješto isprepliće s traženjima, zastojima i pronalascima u autorskom životu Virginije Woolf. Takav upliv, naravno, ne bi bio moguć bez pomnog iščitavanja i dubokog poznavanja spisateljskog opusa, kao niti bez profesionalnog interesa za latentne granice javnog i osobnog, prisutne u svakom životu. Virginia Woolf za Alexandru Harris, vrlo osobno, predstavlja prvu književnu strast i fascinaciju, zanimanje za njen rad vodilo ju je k istraživanju moderne fikcije u odnosu spram engleskog romanticizma u slikarstvu što je pak, nakon tri godine discipliniranog, oxfordskog proučavanja, dovelo do doktorske disertacije čiji su ključni dijelovi pretvoreni u knjigu Romantični modernisti. Ne čudi stog a pažnja kojom je Alexandra Harris, želeći djelovati kao protuteža modernim biografima i njihovu shvaćanju Virginije Woolf kao traumama iz djetinjstva obilježene, pomalo pomaknute, ali neporecivo briljantne autorice, iscrtala konture njena života, a praznine ispunila uzimajući, kako i priliči, od spisateljice i dodajući ženi koja je, pažljiviji će čitatelj zamijetiti, ipak bila mnogo više od svjetla koje se širi i jača. Biografija otvorena pitanjem Tko sam bila tada? protkana je, i zaključena, pripadajućim odgovorom. Vraćajući se u autoričino djetinjstvo, prekapajući po sjećanjima pretočenim na stranice romana, ali i u sve ono skriveno među njima, Harris crta Virginiju uklopljenu u trenutak u kojem je živjela. Ne kao ludu genijalku, niti kao svjetlo koje se pojačava i širi već kao ženu koja piše. I kroz pisanje, primičući se životu, pronalazi izvore najvećeg mira. Ali, naravno, i najdubljih nemira. Not really a biography, but a biographical study. This book is beautifully written, but so short that it can't really go into any detail about any aspect of Woolf's life, and she remains a distant presence throughout. There are good mini-essays about many of her works, and the last chapter, about her literary legacy, is particularly interesting. Alexandra Harris' Virginia Woolf gaat vooral over de schrijvende persoon, pretendeert nooit een volledige biografie te zijn. ik heb redelijk veel over Woolf gelezen, inclusief Hermione Lee's fantastische biografie: dit is geen overbodig werk. een bijzonder boek, Harris weet de kern van Woolfs werk (inderdaad, schrijversleven) te raken. inspirerend, goed geschreven: het is mooie literaire non-fictie. I remember being all of 13 and attempting to read Mrs. Dalloway. It didn’t make any sense to me back then. Nothing whatsoever. In fact, I also remember dumping it and not picking up any Woolf till I turned 21. That’s when life truly made sense. Virginia Woolf’s writing has captivated me like no other author, not even Murakami for that matter. Having said that, I wish I had read this book before reading her works, as it provides so much insight and fodder into who she was as a person and how that I remember being all of 13 and attempting to read Mrs. Dalloway. It didn’t make any sense to me back then. Nothing whatsoever. In fact, I also remember dumping it and not picking up any Woolf till I turned 21. That’s when life truly made sense. Virginia Woolf’s writing has captivated me like no other author, not even Murakami for that matter. Having said that, I wish I had read this book before reading her works, as it provides so much insight and fodder into who she was as a person and how that impacted her writing. Not only that, it goes a step ahead speaking very closely about her family, husband, and influences when it came to The Bloomsbury Group. This edition by Alexandra Harris might be a brief one when it comes to Woolf’s life, but might I say that she has captured every phase and essence of the writer’s life and works to perfection. I say this because I have read Virginia Woolf by Hermione Lee and that is quite an extensive work. Harris does not gloss over anything and provides a view that is completely unbiased and yet thankfully you can see the admiration for Woolf shine in this short biography. Harris also takes into account Woolf’s relationship with her contemporaries and how she worked on building the Bloomsbury group. Those chapters swept me away, not to also forget how she came to write the novels that she did and her mental health always there -sometimes in the background and sometimes right there at the front. “Virginia Woolf” by Alexandra Harris captivated me more than any tome on her could have. The writing is crisp and engaging and works well with the accompaniment of 46 photos of Woolf, only adding to the entire narrative. A read for all Woolf lovers and also for those who are afraid of her writing, just so you are encouraged to pick any of her books and read her, thus converting for life. This turned out to be a better biography of Woolf than I'd thought when I first started reading it. I would recommend it for the reader who is just beginning to discover Virginia Woolf and knows little, if anything, about her family background, the Bloomsbury group, or her novels and books of criticism. Harris also provides brief analyses of Woolf's novels, which often explain a bit too much about the novels and might influence the new reader's thoughts and reactions to them. I'm not sure that th This turned out to be a better biography of Woolf than I'd thought when I first started reading it. I would recommend it for the reader who is just beginning to discover Virginia Woolf and knows little, if anything, about her family background, the Bloomsbury group, or her novels and books of criticism. Harris also provides brief analyses of Woolf's novels, which often explain a bit too much about the novels and might influence the new reader's thoughts and reactions to them. I'm not sure that this is a good idea; if I were new to Woolf I'd want to read the novels myself first, and then read any criticism of them. I was holding off reading about Virginia Woolf's life until I read more of her books, but I couldn't resist picking this up when I saw it in the library (whilst searching for other books). I'm glad I did. Harris says at the beginning that this book is meant as "a first port of call for those new to Woolf and as an enticement to read more." I can't agree more -- I feel like I have a better understanding of her books, which I am now more hungry to read. 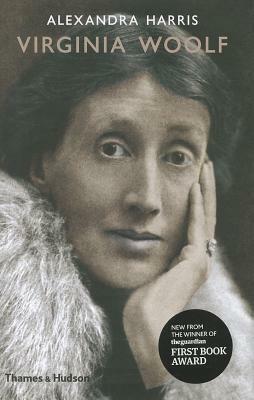 Beautifully written and succinct guide to Virginia Woolf and her life and work. Ideal for undergraduates and for those just beginning their study of Woolf. A wonderful introduction to Woolf's life and works - even this long time Woolf scholar learned some new things. Alexandra Harris again marries a staggering amount of research with a light touch and thoughtful commentary. This is a very enjoyable read for Woolf newbies and long-time fans alike. Next time : the Hermione Lee biography! There isn't a lot to say about this one. It's a concise overview of Woolf's life and work, best for those who are only mildly curious and just looking for the basics, or someone looking for an introduction before moving on to meatier stuff. Not badly written and has some occasional insight into Woolf's work, but not a definitive source by any means. Brilliant. Evokes a great deal of fresh perspective on Virginia Woolf - and her writings, her thought, particularly on Orlando. Though one might think there is little room for yet another biography, this one does the job masterfully - I have gone back and read a few VW works with fresh eyes - following my read of Harris' book. Loved this book about Virginia Woolf—not in-depth, but an excellent overview of Woolf’s best works, along with a collection of photographs that includes original artwork for some of Woolf’s book covers designed by her artist sister Vanessa Bell (which are terrific). It also includes photographs of Woolf with various family members, several of relatives and friends, and select images of Vanessa’s paintings. The latter I enjoyed immensely. Though I knew Virginia’s sister was an artist I wasn’t fam Loved this book about Virginia Woolf—not in-depth, but an excellent overview of Woolf’s best works, along with a collection of photographs that includes original artwork for some of Woolf’s book covers designed by her artist sister Vanessa Bell (which are terrific). It also includes photographs of Woolf with various family members, several of relatives and friends, and select images of Vanessa’s paintings. The latter I enjoyed immensely. Though I knew Virginia’s sister was an artist I wasn’t familiar with her works; she was talented. The book’s chapters are broken down into time periods of Virginia’s life with brief overview of the major events going on during the respective years, which provides a solid background to her writings. Harris does an excellent job in this brief work; the book is a pleasure to read; the paper is heavy, the images are interesting with descriptive captions and it includes a ribbon marker. Quality stuff. Loved everything about this book. In 200 pages, Alexandra Harris spoke more sense with more clarity about the person Virginia Wipoolf was than volumes of Quentin Bell's evasions. This is not a full-length biography by any means more of a full-length analysis that works beautifully, with its own moments of beauty. If you already love Virginia, as a writer, as a woman, or as an icon, this is one pleasurable journey. And I cannot say enough about the 46 illustrations. Matched with the heavy-duty paper, the images reproduced Exquisite! Excellent overview of Woolf's life. Easy to read, covering all the major points, with astute observations. Great for someone who is intimidated by the (HUGE) daunting biographies of Woolf. It definitely made me curious to read more of her work, and perhaps try to tackle Hermione Lee's biography of her sometime soon. A small but perfectly formed biography of Virginia Woolf. Refreshingly, Alexandra Harris chose to make this book about Woolf's life and thoughts, rather than her mental illness and death. Not every author gets the biographer they deserve; Woolf has this in Harris. Brief book that touches on many interesting aspects of VW’s life but only briefy. Would have preferred reading a about shorter span of her life with more depth. Enjoyable short biog, providing context for her novels and exploring how her reputation has changed and how she has been served by commentators through the years. Nice concisely written overview of Woolf’s life and work. Highly educational and often moving. My first biography - this book explores family, anxieties and talents of Virginia Woolf. Truly beautifully written and a great insight to help uncover Virginia Woolf as an individual. Shame it’s so short, it almost feels a little rushed at times. Well written biography espeally introducing her work. Not having read any of Woolf's works yet, I picked up this biography of her to familiarise myself with the Writer before I embark on what now seems even more of a challenge to read her books. In the process of reading this biography, I listened to an audio book of A Room of One's Own. The ideas and arguments presented there appealed to me and, complemented by her biography, helped me understand her a little better, but also confirmed my suspicion that her work is likely going to be difficult to read. Alexandra Harris has written a beautiful biography in my opinion. Harris' writing is elegant and seems to me, admittedly unfamiliar with Woolf's work as I am, to paint an objective portrait of the celebrated writer. I also loved the photos of her. As uncomfortable as I am with the prospect of yet another reading challenge, Harris' biography compels me to try and read Woolf's work, and will hopefully help in understanding it.